The documents contained in this section of the Bi-State Development website contain a Dated Date and speak only as of that Dated Date. Readers are cautioned not to assume that any information has been updated beyond the Dated Date unless a document expressly states that it constitutes an update of a specific portion of a document.  Bi-State Development expressly disclaims any duty to provide an update of any document contained in this section. The documents contained in this section make “forward looking statements” by using forward-looking words such as “may,” “will,” “should,” “expects,” “believes,” “anticipates,” “estimates,” or others. You are cautioned that forward-looking statements are subject to a variety of uncertainties that could cause actual results to differ from the projected results. Those risks and uncertainties include general economic and business conditions, receipt of funding grants, and various other factors which are beyond our control. By continuing through this section, you acknowledge your review and understanding of the warnings above. Click on Register to select your personal username and password. Type in your username and password in the fields provided on the home page. You will see Metro’s bond portfolio of issues.